I first came across this brand through BDJ's April box. And since then, Pixy has been a staple in my kit. Not exaggerating, ok? I keep two tubes of Pixy lipsticks in my makeup bag, and a Pixy two-way cake almost everyday. 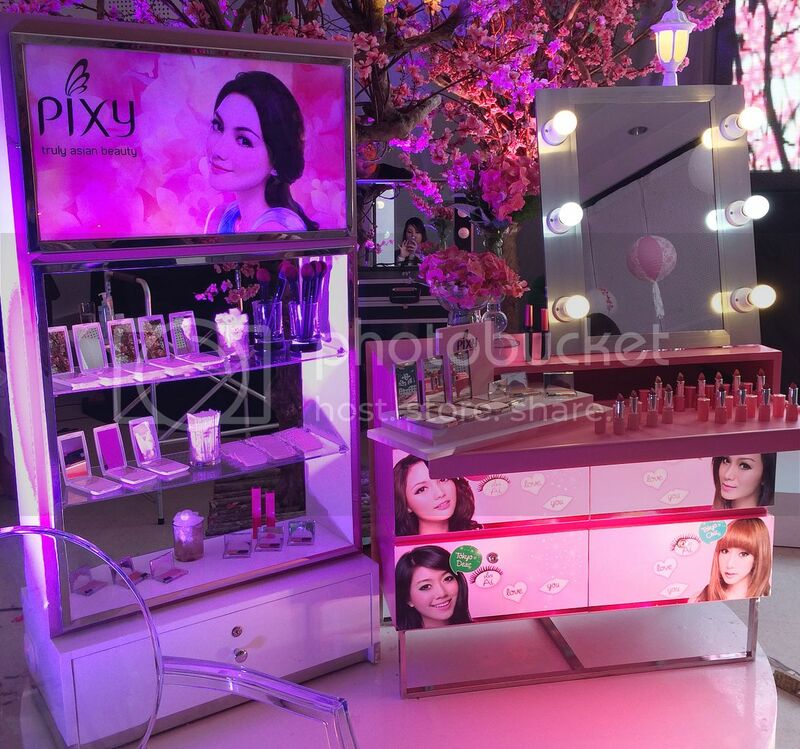 Pixy products have recently been made available at Watsons outlets, so yey! I won't have to look far when I need to repurchase. Anyway, for those who are not yet familiar with this brand, let me tell you more about it. 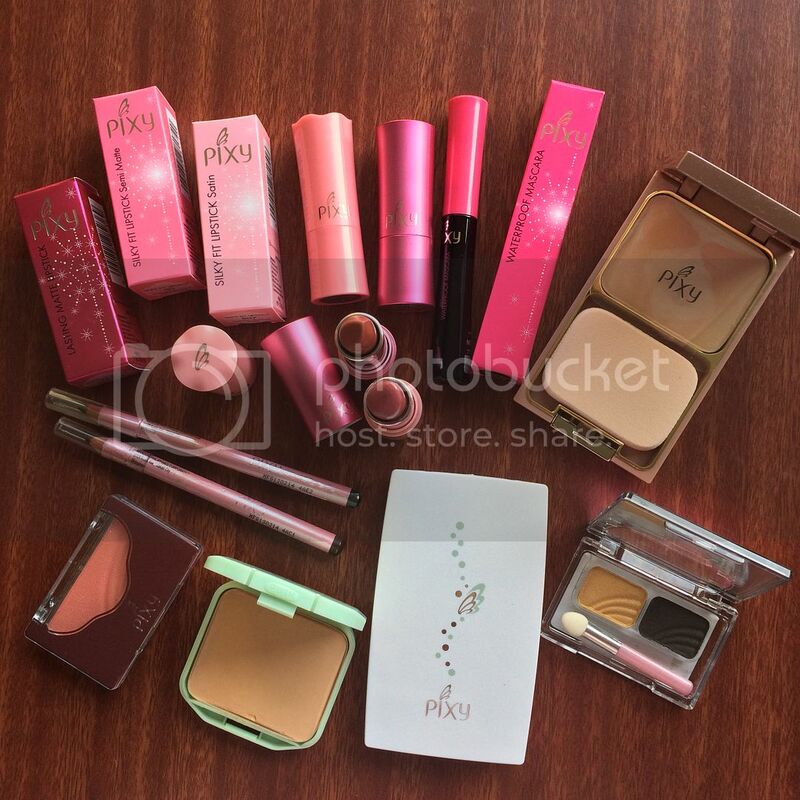 Pixy is an Indonesian-manufactured makeup brand that uses Japanese ingredients to create products that would help us achieve the flawless Japanese looks that we've all been wanting. 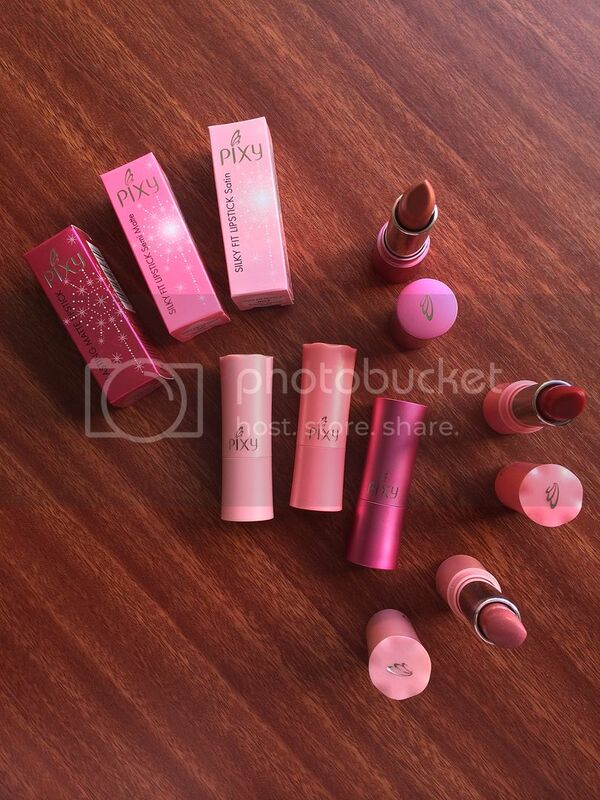 Whether it's girl-next-door (Tokyo Kawaii) or even glamorous (Tokyo Glam), Pixy got you covered. The best part is that their products are really affordable! Too much pinky goodness in one photo! 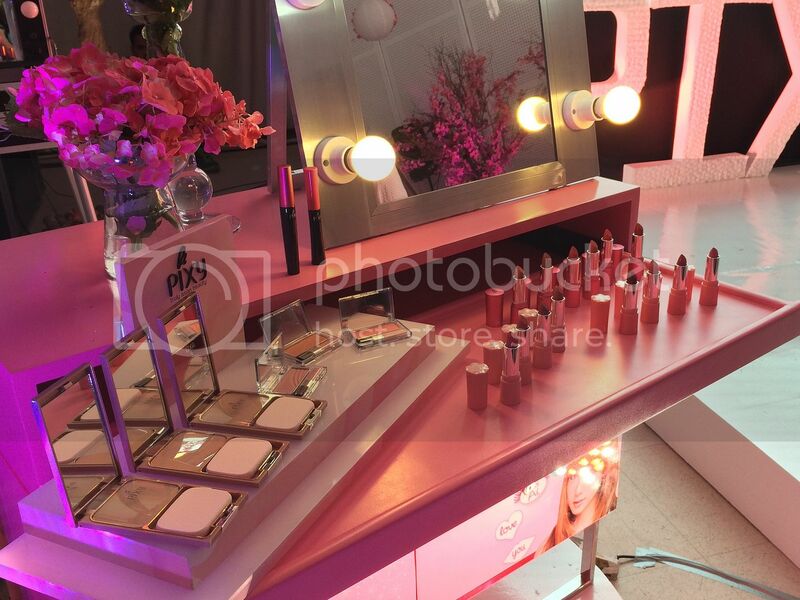 Let me quickly walk you through Pixy's product line-up and tell you something about the products I've already tried and my current faves from the bunch. Let's start with the base makeup - Pixy's two-way cakes. 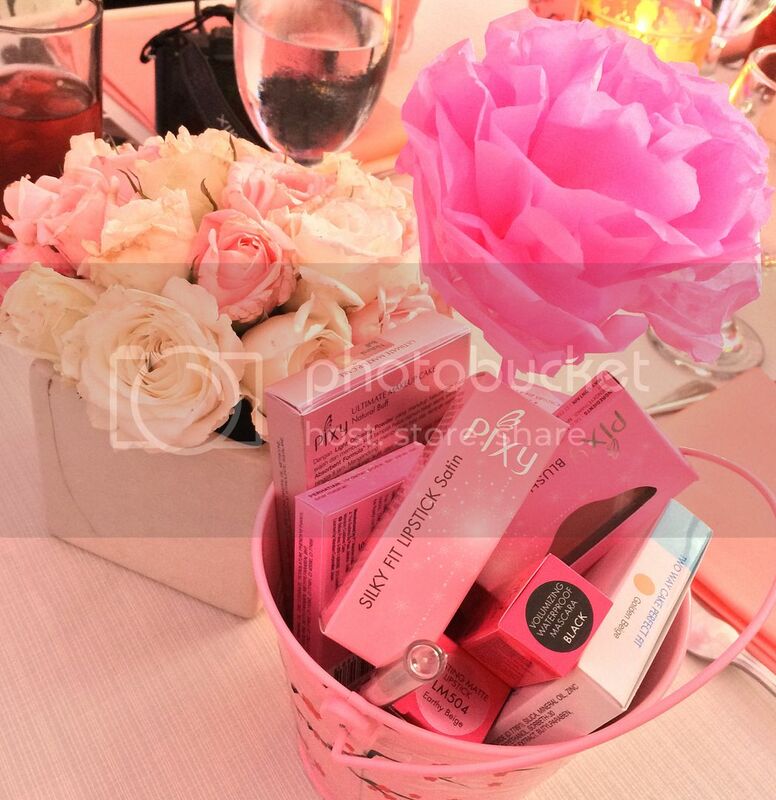 There are three variants - Ultimate Makeup Cake, UV Whitening Two Way Cake Perfect Matte, UV Whitening Two Way Cake Perfect Fit. These can be used wet or dry, depending on the coverage you want to achieve. When I want to keep my makeup really light (like when I'm sick or when I'm in a hurry), I use just this as base, applied with a damp sponge or even a buffing brush. On normal days, I lightly apply this on top of my BB cream or foundation using a powder brush. 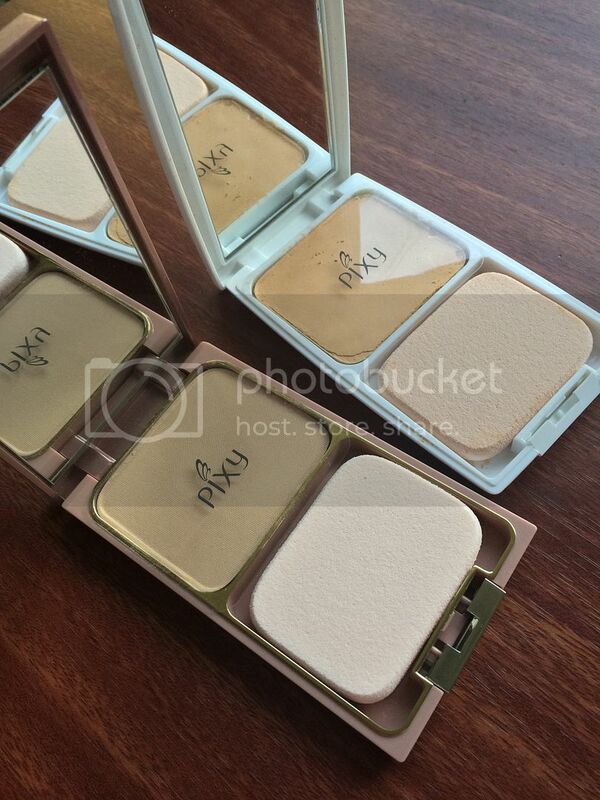 I do like the coverage of these powders. Even when used by themselves, they can still cover up my minor blemishes - well enough for an everyday look, at least. 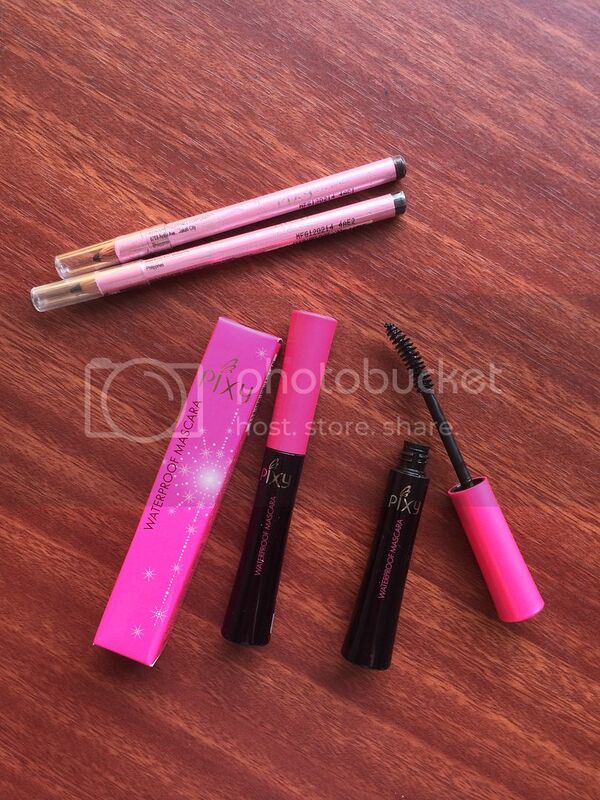 For the eyes, Pixy's got eyeshadows, eyeliners and mascaras. So far, I am liking the pencil eyeliners (got mine in brown and in black), but I only use them on my lower lashline. I don't really use pencils on my upper lashline because they (and I'm referring to pencil liners in general here) tend to smudge on my monolids. I'm more of a liquid liner-lover. I've yet to try Pixy's liquid eyeliner, though. The mascara, I find, is just alright. This particular variant (plain Waterproof) gives length without clumping and separates my lashes nicely, giving a very clean finish, but it doesn't give enough volume for me. I can use this for my everyday makeup look but not on special events. Pixy has a volumizing mascara too, though. But I haven't tried that one yet. As for the blush on, I've tried a couple of shades, both of which are a little too shimmery for my liking. But I do like the colors I was able to try (minus the shimmer). Easy to pull off pink, peachy shades. Last but not the least, the lipsticks. These come in three different finishes - Silky Fit Satin, Silky Fit Semi Matte, Lasting Matte. My current faves among these shades are Puppy Love (no surprise there! You know I love my MLBBs. ), Red Chili and Autumn Apricot. I love these three! Here's me wearing Red Chili. Aaaand that's it. 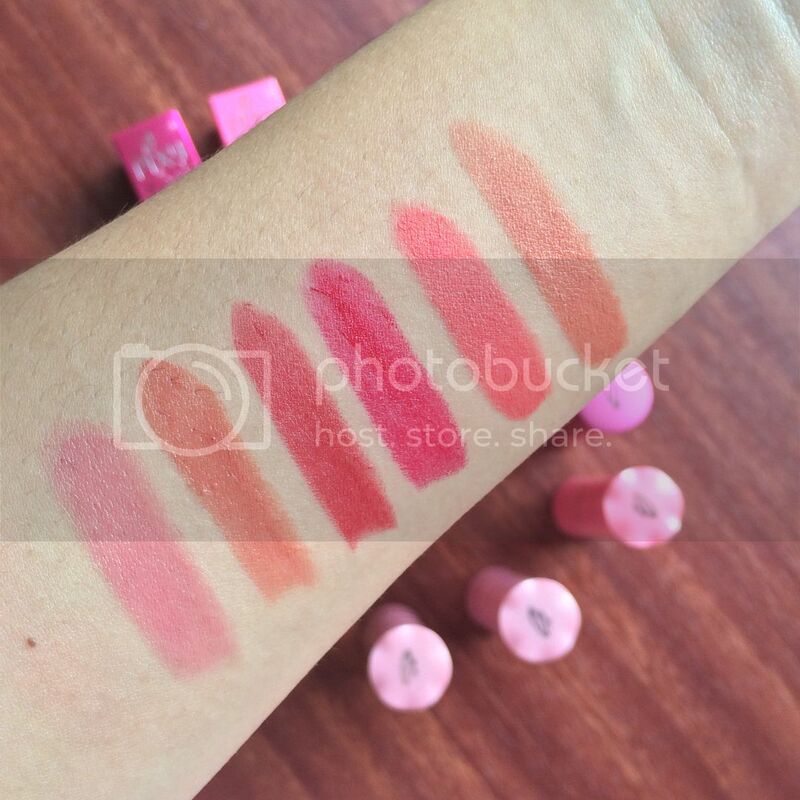 Again, my top Pixy picks are the two-way cakes and the satin lipsticks! 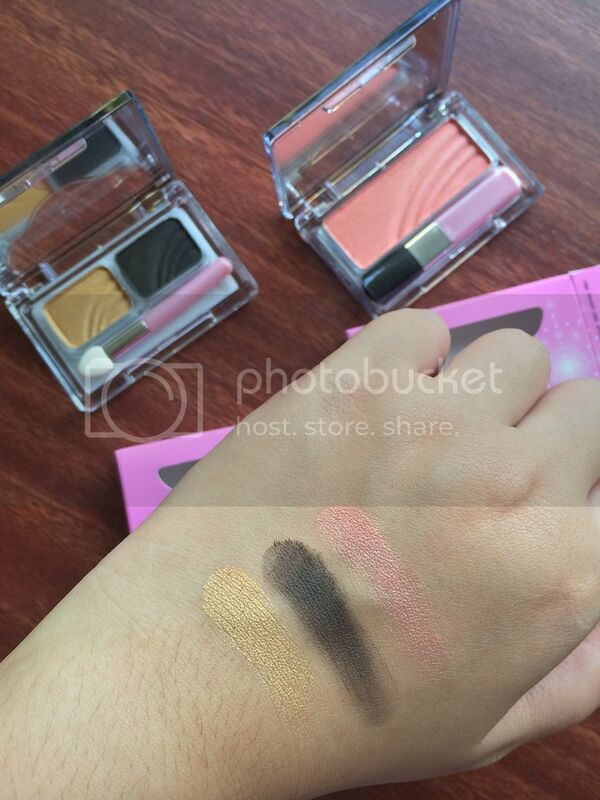 Note to self: Next time I visit Watsons, I'm gonna check out the other shades! Overall, I am liking this brand. Affordable but good quality.